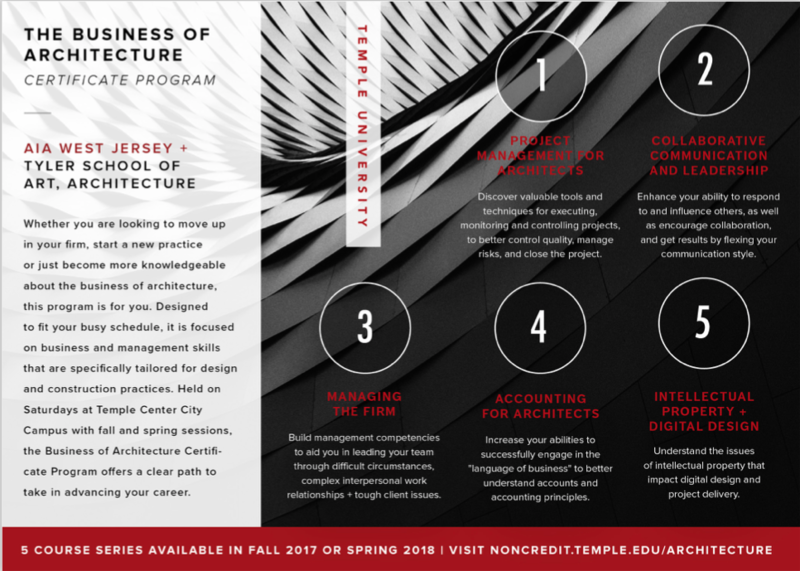 The multi-tiered Micro-MBA in Architecture program program kicks off with two certificate programs to help prepare Architects and Construction Professionals with limited or no business training to enter the Micro-MBA executive program in late 2018. The Business of Architecture Basic Certificate will be offered Jan. – Feb. 2018. Details about The Business of Architecture Advanced Certificate will be available soon. Each of the certificate programs will be five weeks in duration and provide background training to help ensure the candidates success. 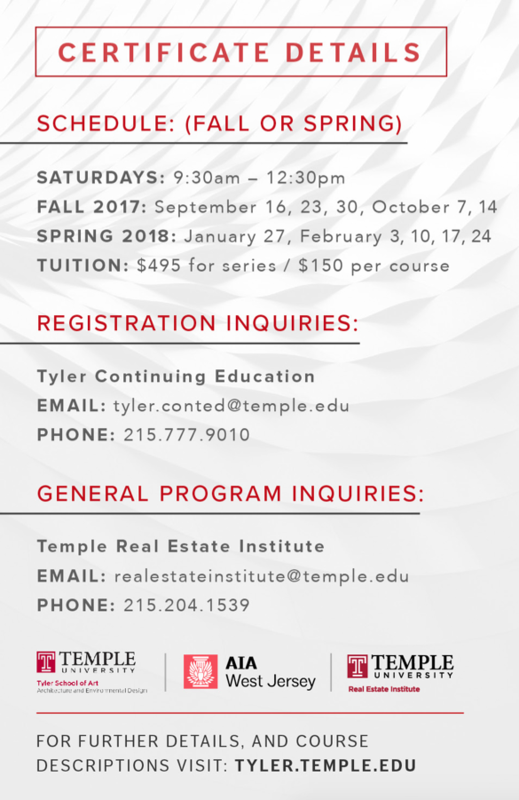 Classes will be taught by a combination of Temple University Professors and licensed AIA Architects at the Temple Center City Campus. Registration for the Business of Architecture Basic Certificate is now open! Details on this exciting program are outlined below. You can earn up to 15 AIA CEUs with the Fall 2017 Basic Certificate! Register for one or take all five courses.